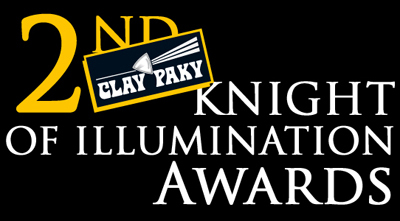 LONDON — Sponsor Clay Paky announced the nominations for the Knights of Illumination Lighting Design Awards. The winners will receive their awards at a dinner held in conjunction with the ALD and the STLD Sept. 13, 2009. The awards recognize outstanding contributions made by lighting and lighting designers for live and televised performances in the U.K. The award categories include rock, theatre, opera and dance as well as four categories of televised work. Another feature of these awards is that each distinct area is being judged in a way deemed appropriate by practitioners in their fields. Acting on input from the ALD, the theatre awards aren’t decided on the basis of photos or video, but on attendance at a live performance. Since there is also no way that a group of lighting designers could find time to see all the award-worthy work being produced in the U.K., ALD is relying upon a group of professional critics who see performances on a regular basis. The work they saw determined what was eligible, and as they are seeing at least three or more performances a week, the ALD knew that this would elicit a wide range of possible nominees. This year, lighting designers not based in the UK were also considered for awards, as long as their work was produced here. This includes American designers Kevin Adams (Spring Awakening), Natasha Katz (Sister Act) and Israeli designer Itzik Galili (A Linha Curva) are among the nominees for this year’s Knights of Illumination Lighting Design Awards. Reviewers felt that lighting didn’t just help make the evening, the show was an object lesson in how light can affect movement. This is a choreographer who also designs the sets, costumes and lighting for his work at Rambert Dance Company. Reviewers said the lighting was so integral to the performance it was impossible to imagine what the piece would have been like in just working light. The lighting was part-painterly, part-sculptural — even the shadows were a part of the performance. Reviewers said the lighting created spatial definition and expanded so many different dramatic moods. The judges were particularly impressed by how it created grandeur on a small scale. Reviewers called the lighting effective, witty and gorgeous and pulled off the considerable trick of making the setting and production look more expensive. Reviewers said the extraordinary lighting design used highly controlled saturated color to create major tonal shifts that created drama and a sense of momentum that the writing barely hinted at. Reviewers said the lighting was utterly integral to the expression of a bold interpretation of the opera, creating stark, spine-chilling moments. At times, they added, lighting enabled the audience to feel the salt spray and evoked the look of wet sunlight. Reviewers said Austin created extraordinarily varied locations and emotional temperatures with almost no changes in the set. They added that the ravishing shift from a shadowy interior into the tangible heat of outdoor Mediterranean sunlight was typical of his dramatic handling of the play’s contrasting moods. Reviewers noted that Clark used side-lighting to lower and raise the temperature, and not just in the effective rain-drenched sequences referred to in the title. They said the sunny warmth stealing over the second act was in powerful contrast to the atmospheric cheerlessness he cast over the initial proceedings. Reviewers said the arrestingly counter-intuitive lighting tamed the epic Olivier space by edging the neutral backdrops with luminous blue and sculpting mysterious areas of darkness with streams of fiercely hot sunlight. Reviewers said lighting vividly expressed the twin polarities of the show and created an aesthetic that made an immersive experience. Particularly noted was the bold use of light bulbs and fluorescent tubes. Reviewers said Austin lights the production like a painter. Starkly angled beams highlighted Piaf against the surrounding crepuscular space making her appear lonely, raw and unfinished and adding tangible mood to the scenes. Reviewers gave major credit to Natasha Katz whose lighting built and maintained energy and flow across the musical. Reviewers added that she also had a field day in the glorious taste-wasteland that is the nuns’ finale; sending colour chases rushing round the stained-glass windows of the newly endowed cathedral. Once again, Clay Paky noted, the critics were very excited to be able to talk about the unique and often overlooked contribution that is made by lighting to productions. They were most mindful of how often praise for lighting falls victim to the severe space restrictions in their publications and welcomed the Clay Paky Knights of Illumination awards as an opportunity to redress this situation. Reviewers noted a nice example of conventional and digital lighting being merged for illumination. Using a well chosen, well thought out, carefully placed and relatively limited palette plus a lot of imagination Chris’s lighting design ticked all the boxes. There was plenty of variety in the looks with clever use of angle, colour and projection. Reviewers noted that this was one of the most challenging briefs of all the shows as the lighting needed to address the demands of a basic rock ‘n’ roll show with theatre sections as well as a comedy performance. Arturo created a compact, versatile, low power, labour friendly rig to a very tight budget and it worked very well. Reviewers noted that Jon Barker applied an eclectic kit list, some elements of which were a blast from the past and blended them with state of the art video and moving lights to create some classic big rock that contrasted with some particularly focused, atmospheric looks. His use of primary colours and strong beams backed with plenty of strobes only went to accentuate this. Reviewers cited a unique show created for a unique performer: Pink is totally the centre of attention in this show and the visuals strike a brilliant balance between showcasing her material and focusing the audience’s attention on the star. Colours and dynamics fit perfectly with the numerous extravagant costumes and the fast-paced show that plays out over Mark Fisher’s set. Reviewers credited the show for fabulous use of color matching between lighting and video visuals. Davy and Robin Haddow worked as one in producing a coherent, beautiful, interesting and exciting visual design for the band. It seamlessly fused lighting, playback video/live visuals and moving (automated) elements, creating a show to articulate the performance dynamics – without being gimmicky or crass. This year see the introduction of a special award for an Eco Friendly Tour to recognise the important advances being made in technology and its inclusion in effective and innovative lighting design. The judges for the Rock and Roll section were industry journalists Louise Stickland, Sarah Rushton-Read and Mike Lethby with Durham Marenghi acting as chairman. Martin Kempton for Not Going Out — Although this piece is actually a situation comedy, it demonstrated how to light a studio set in a realistic manner without over lighting it. No compromises were made for the fact it was shot in front of a live audience and the lighting standard was upheld in every scene. John O’Brien for The Bill — This long running soap has seen many changes over the years so it was good to see a well balanced entry for this awards. Scenes ranging from the realistic interview room, the atmosphere of the incident room and the exterior night scenes showed off all the lighting techniques used to good effect. Chris Watts for The Doctors — The use of color in this piece was used to good effect really bringing out the feeling of the scene. It also added depth well to the picture and showed the care and attention taken with this regular daytime soap. Bernie Davies for The Royal Variety Performance — The lighting enabled a large variation throughout the show. The LED screens were incorporated well with the lighting states. A good use of resources was made given the budget constraints. Chris Kempton for Friday Night With Jonathan Ross — This regular Friday Night chat show has become a firm audience favourite. The clean lighting of the interview area combined well with the set and the Band lighting was felt to be coherent, thoughtful and exciting. Mark Kenyon for Last Choir Standing — This very popular primetime show required a lot of work to give every choir it’s own personal treatment whilst maintaining a constant feel over the many weeks of the series. The spacious set was well treated and the use of colour and timing of multiple lighting cues was most impressive. Will Charles for The Album Chart Show — This had dramatic use of colour temperature of lighting on the faces and pushed the pictures to their technical limits. The live feel of the show was maintained throughout and the contrast with the interview setup gave a good mix. Al Gurdon for Girls Aloud Party — This had a high class feel to the show with all backgrounds covered and every song lit with feeling and thought. LED screens were used to good effect without being dominating which is all too evident in TV these days. Chris Rigby for Later With Jools — Good atmosphere is created in this long running series with every act having a different feel. Excellent standards of technical lighting are maintained throughout with the music always being the main focal point without the distractions of over dominating lighting. John Gallagher for The Priests In The Cathedral — A one off event recorded in front of an audience in a cathedral. The brief of trying to light a Light Entertainment event in an ecclesiastical setting is always a difficult one. This was achieved by this production with the lighting of the artists having clarity and shape. Mark Kenyon for Gladiators — This large-scale production was well marshalled. Every shot was covered and the use of a vast array of moving lights and LED fixtures was impressive. Every frame was filled, even underwater! As a contract the presenter positions were always well lit. Excitement was well maintained during the games by the use of lighting. Gurdip Mahal for BBC Sports Personality Of The Year — A large venue to cover, which was achieved well. The show had the feeling of a special event with excellent wide shots. Presenter positions were on the whole covered well and the lighting was always restrained but effective and controlled. Stuart Gain — Chairman — was a Senior Lighting Director with Thames TV before becoming Freelance in 1993. He has lit many TV Shows both here and abroad and is at present enjoying a spell on the One Show for the BBC. John Driscoll — A Video Graphics Designer working on all forms of Video Material that is used on Video Servers for a range of shows for Concerts, Theatre Productions and Television Programs. Jonathan Haswell — Work for BBC Classical Music Dept as a Director and Producer. He is currently working on The Proms and Televised Operas at The Royal Opera House, Convent Garden. Martin Kisner — a Staff Lighting Director at the BBC working on a large range of programs. He is now semi-retired, but can still be seen around TV Studios up and down the country helping out the younger chaps.